IT’S TIME FOR the 2019 Oscars – and whether they agree with the outcome or not, it’s a highlight of any film-lover’s new year. The Academy Awards are the biggest mainstream film awards, with millions of dollars pumped into campaigns by studios in an attempt to get their movies to win. It’s a huge boost for any film to be nominated, never mind scoop a statuette – and excitingly for us, tonight sees Irish productions among the nominees. But it has been a strange year for the Oscars, with this year’s ceremony being the focus of some head-slapping controversy and ‘what now? !’ moments. And with some of the nominees for best film being heavily criticised, it’s going to be particularly interesting to see which productions do win the top categories. Will there be any Oscars for Ireland? There are a number of ways Ireland could get an Oscar this year. Our best bet is with the Irish co-produced film The Favourite, which is up for a whopping 10 awards (including the cinematography award, which Irish native Robbie Ryan is up for). Its director, Greek native Yorgos Lanthimos, has a great relationship with Irish production company Element, so we’ll all be crossing our fingers that they’ll take home a few golden statuettes. But that’s not all on the Irish front – animated short Late Afternoon and live action short Detainment also up for awards. Fingers crossed on all fronts. Will the A Star Is Born campaigning work? The key to getting on the Academy’s radar and in with a chance of winning something is to, well, get talked about. But when it looked like there wasn’t enough chatter about A Star Is Born, and most particularly its star and director Bradley Cooper, something had to be done. So we had Cooper join Lady Gaga on stage at her Las Vegas residency gig, where the duo reunited to sing the hit Shallow from the film’s soundtrack. That would definitely remind people of the power of the film. And then there was Sean Penn’s op-ed about the need for Bradley to win. Which was embarrassing, but Penn, despite his behaviour, is Hollywood royalty. Then there’s the $20million that was apparently spent on the Oscars campaign for the film. So it can’t be said that they haven’t tried. To be fair to him, Bradley Cooper did at least admit he was put out that he didn’t get a nomination for Best Director (especially given the fine job the debut director did) – but he’s bound to leave home with at least one of the gongs for these for his film: Best Picture, Best Actor, Best Actress, Best Supporting Actor, Best Adapted Screenplay, Best Original Song, Best Cinematography or Best Sound Mixing. It’s unlikely to get Best Picture, but we shall see… (to us, Lady Gaga’s performance was fantastic – but Olivia Colman is a shoe-in for Best Actress). How will Bohemian Rhapsody and Green Book fare? There has been a LOT of drama about both of these films. For Bohemian Rhapsody (which is, in case you lived under a rock, a biopic about the band Queen) – that’s chiefly down to the fact director Bryan Singer was on board, before being replaced by Dexter Fletcher. Rumours had swirled about Singer’s behaviour for years, and an in-depth article in the Atlantic recently outlined the many allegations made against him. Then there’s the film itself. First, there were the accusations that it erased Freddie Mercury’s sexual identity (particularly in the trailer). And while Rami Malek got lots of praise for his own depiction of Mercury, when he won awards for the role there was some negative chatter. Then there is the direction and editing of the film, which has been made fun of online. At the same time, it has taken in about twice what A Star is Born took in at the box office globally – so audiences in the main did love it. Then we have Green Book (about the real-life pairing of African American musician Dr Don Shirley – played by Mahershal Ali – and his white driver Tony Lip – played by Viggo Mortensen – as they take a trip through the Deep South), which has also been mired in controversy. There were the facts that it appears to do some white-washing around race relations; that Viggo Mortensen using the N-word at a press event; that the director admitted flashing actresses; and that Don Shirley’s family were said to be not very happy about the film. That all said, doing well in the Irish box office, as this list from Scannáin shows. 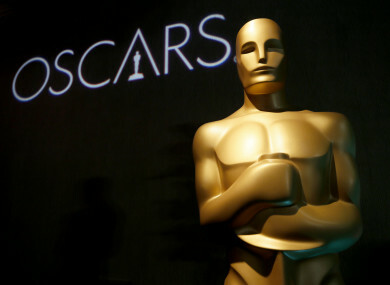 But have the controversies put off the Academy voters? The controversies around Green Book and Bohemian Rhapsody are particularly interesting because they highlight the types of discussions that we’re having around popular culture in 2019 – digging deep into race, gender politics and who has the right to tell someone’s story. How they fare at the Oscars will give an insight into the mindset of the members of the Academy, who have certainly not been described as the most diverse group of people in Hollywood. How things pan out on the night will be very telling. How will the festival do without a main host? For the first time in 30 years, there will be no main host for the Oscars. Again, this is down to controversy – Kevin Hart had been lined up to do the honours, but when old homophobic tweets of his resurfaced, he stepped down. He had been given the choice to delete the tweets, or give up the role, and he chose the latter – though he did apologise to the LGBT community for what he said in the past. That left the Academy with a choice of whether to replace him or not. And, weirdly, they decided not to. Instead, the show will rely on a heap of big-name award presenters. Will Richard E Grant get his Oscar? One of the sweetest things about this year’s Oscars has been witnessing veteran British actor Richard E Grant get his first Oscar nomination. With the enthusiasm of a starstruck teenager, he has been taking to Twitter to share his excitement. Come on – surely he deserves an award at this stage of his career. But if he doesn’t get it, at least we’ll get to see his lovely tweets from the ceremony. Unlike others, there’s no way he’ll be cynical about this. Will Roma win Best Film? This would be exciting because it’d be the first time a film in a foreign language has won the award. And with critics and audiences adoring this film, it’s certain it will get at least one Oscar. It could also land Cuarón an award for Best Director or for Best Cinematography. It would a big win for Netflix too, and perhaps a source of upset in Hollywood – as the streaming giant is certainly disrupting the way films are distributed and seen by audiences. Will there be any Moonlight/La La Land moments? We all hope that at each Oscars ceremony there’ll be an episode we’ll chat about after – like Gwyneth Paltrow’s tearful speech, Crash winning the Best Film Award, Ellen’s internet-killing selfie, or the moment the wrong film was named when Moonlight won Best Film. The awards show acceptance speech trend recently has been for rousing feminist/anti-racist speeches, which is certainly a good thing. So we can probably expect to see some of them (and maybe some digs at the all-male director shortlist). But we might see some controversial moments too. After all, it’s Hollywood, baby. Will Paul Schrader get his due? Or Spike Lee, for that matter? Or Glenn Close? Neither Schrader nor Lee have won Oscars for the films people wanted them to win Oscars for – Taxi Driver, Raging Bull and Do The Right Thing, respectively – so could Schrader get the Best Original Screenplay award for First Reformed, and Lee win one of the many categories Blackkklansman is nominated in? And as for Glenn Close - give the gal an Oscar already. Some bonus reading for you. A recap of the 1999 Oscars, when to everyone’s shock – except those involved in Harvey Weinstein’s campaign – Shakespeare in Love beat Saving Private Ryan to the Best Picture gong. And here’s a look at how much studios spend on Oscar campaigns – because if you’re not in, you sure as hell can’t win. The Oscars will kick off at 1am Irish time tomorrow morning. We’ll be keeping you updated as all the big news breaks. Email “Here's what to watch out for in tonight's Oscars ”. Feedback on “Here's what to watch out for in tonight's Oscars ”.